As we have turned our focus on to Moms this week and made ourselves more aware of how we (as moms) feel and what we need, I have seen that we really need to be so intentional about looking after ourselves and about doing everything we can to make things run as smoothly as possible in our homes. Even as a mom myself, I generally put little focus into what rejuvenates me, what picks me up, what makes me feel a little more like… ME… and less like all the demands that I am constantly meeting. What keeps me on top of things and helps me to be a better mom. What can I do to keep our family engine well oiled? Now these things may differ greatly from person to person. It really all depends on who you are and what you enjoy, here are a few things that really help me stay on top of the game. Our house really is super organised. It HAS to be. Phil and I both work from home a lot of the time which demands a neat and functional living space. Phil owns a company which is passionate about creating order in the home and so we couldn’t (and wouldn’t) have it any other way. We are wired to keep things neat. Now I drive him crazy a lot of the time because he is ten times neater than I am… but the truth is that for us, life is easier when our home is neat. Everything has a designated place. Nothing sits on top of counters. We don’t collect junk. The kids have learnt to tidy up (with a lot of reminding), they have also learnt that once they are finished playing with a toy it must be packed away before they can play with the next one. 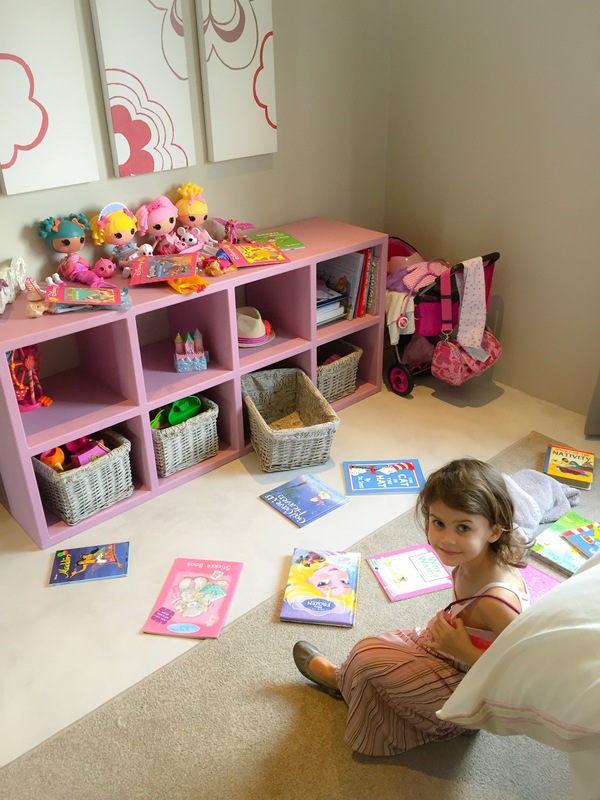 Toys are kept in their bedrooms and if there is no space for a new toy, they must give another one away to make room. 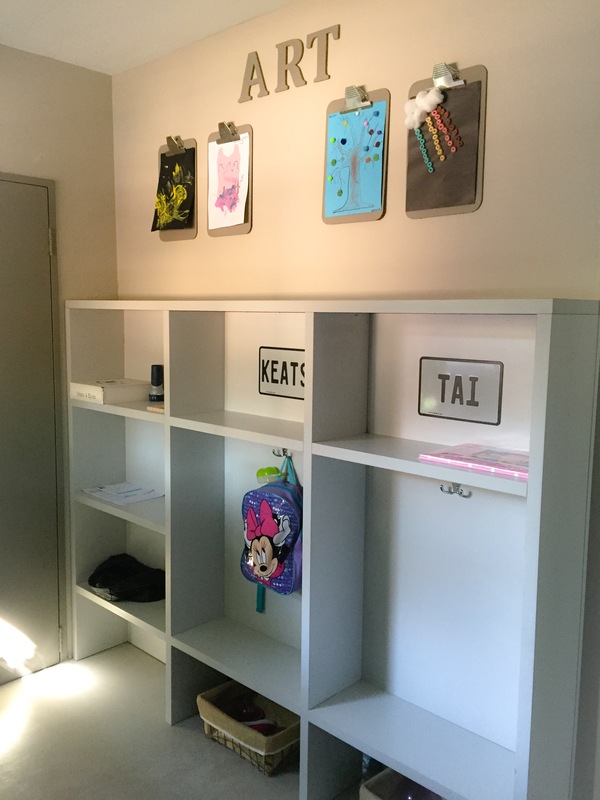 We have lockers – this was honestly the best thing we did when we built our home as it is our ‘train station’. This is where newsletters, raffle sheets, party invites etc go, it is where school bags are packed, unpacked and hung, its where car keys are kept and miscellaneous items are placed. It’s awesome! Lists – I function better when things are written down. It somehow minimises the chaos in my head. Between my notepad and my phone I make lists all the time. It may sound a little like our house is run tantamount to the army… I honestly don’t think that my kids feel that way. They are still allowed to pour lego all over the floor and make mini lalaloopsy towns, they lie on our couches and build blanket forts, we paint and bake and do all those things that make childhood fun, but we tidy up afterwards and we have certain systems in place. I believe that my children are learning valuable lessons and that ultimately, they will thrive with less clutter. And while we all work together at keeping our home neat and organised, I am able to spend less time tidying up after everyone and more time on me. I realise that this sort of thing might stress some of you out more than it creates calm … for us it works! -A little forethought goes a long way. I only recently started packing lunch boxes the night before and I can’t tell you what a difference it has made to our mornings. -I also started waking up 30 minutes earlier which gives me time to actually wake up, make tea and just sit in the still of the morning while everyone else is asleep. I do love my sleep, but those golden 30 minutes of sunrise make my day! -I don’t do it as often as I would like to or should, but a weekly menu is an amazing thing. On the weeks that I do manage to plan our dinners, we spend less money, I stress less and we eat healthier meals. 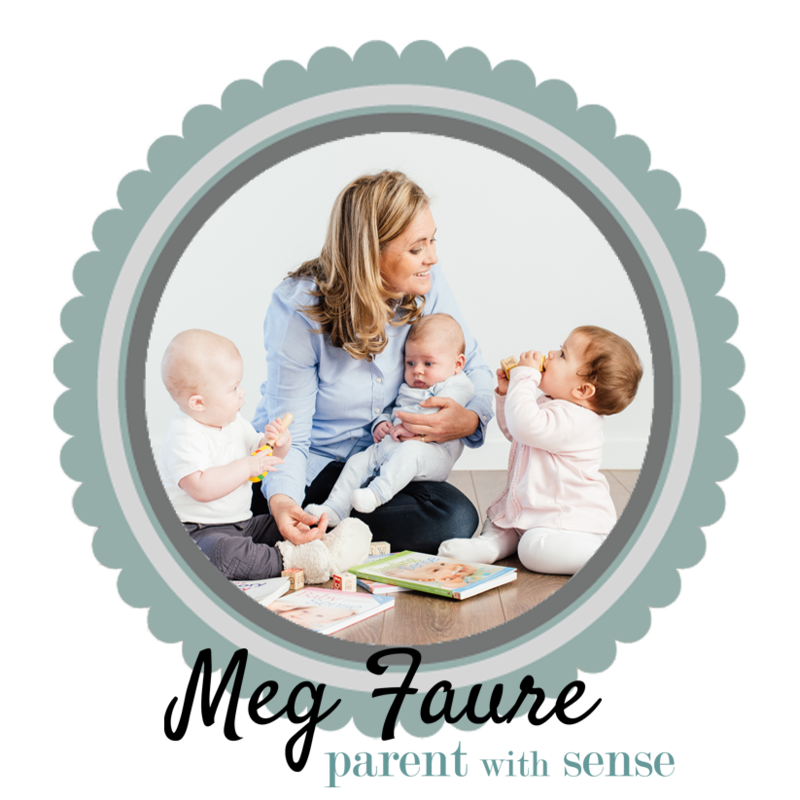 Yes, its ok for moms to have fun – both with and without the kids! I enjoy time with my husband and friends, reading a good book, social media, watching a great series or attempting to get my personal blog up and going. As a family we relish time spent on river banks, family movies and slot car racing. I think we are all fond of a little bit of fancy in our lives. And it really doesn’t need to be a big financial splurge. For me, it can be something as simple as a new hand cream, lip balm or drinking grapetizer out of a fancy glass – so juvenile, I know!! But find what it is for you and do more of it. For a while now I’ve been feeling bad because I don’t really enjoy playing ‘dolls’ or ‘tea party’ with my girls. I can do it for a while but honestly, I get bored. There… I said it. Mother of the year, right! What I do enjoy though is board games… LOVE them. And so, now that Tai is older, this is one way that I can spend some quality time with her. Its not that I don’t play other things with her, but I have found something that we both enjoy and so it feels less like a task and more like having fun with my daughter. I’ve been itching to get back onto the ice again and so today we sourced a little pair of skates and I can’t wait to teach her something that I know all about. Again, this is something that I have always LOVED and I am sure both of my girls will as well. I am just not a mom who can go from party to party each and every weekend. We need time to rest and rejuvenate as a family and sometimes that will mean turning events down. Decide what works for you, what your family can handle and stick to it. I realise that one day my girls are going to be completely consumed in their own activities, one day extra murals are going to take up their entire afternoon, one day university will come and one day they will leave our home to make one of their own *sob*. And for that reason, I think that it is so important that we have dreams of our own. Whether its furthering studies, a career or travelling the world… think about it, dream it, do it.